President Donald Trump speaks to reporters before leaving the White House in Washington, Friday, Dec. 15, 2017, for a trip to Quantico, Va., to attend the FBI National Academy graduation ceremony. 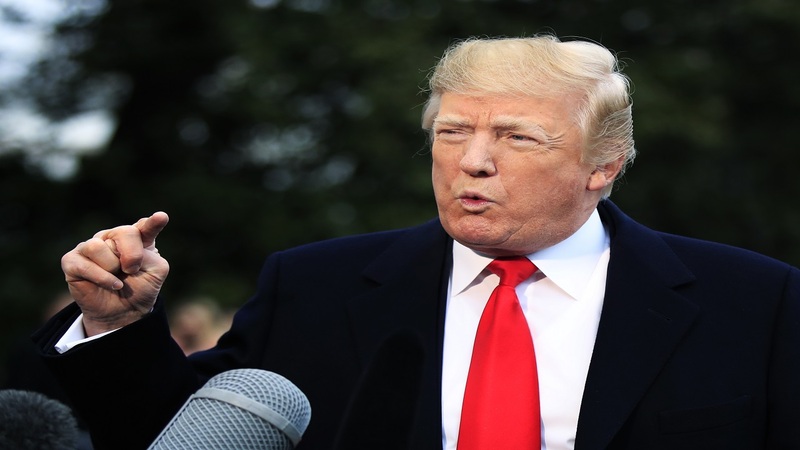 President Donald Trump said Friday "it's a shame what's happened" with the FBI, calling the agency's handling of the Hillary Clinton email investigation "really disgraceful." The comments came as Trump departed the White House for a speech at the FBI training academy in Quantico, Va. and an hour after an aide said newly revealed FBI records show there is "extreme bias" against Trump among senior leadership at the FBI. Trump, who has described the agency as "in tatters," is scheduled to speak at a ceremony at the FBI campus for law enforcement leaders graduating from a program aimed at raising law enforcement standards. He told reporters that "we're going to rebuild the FBI." White House Deputy press secretary Hogan Gidley told Fox News Channel Friday morning that edits to former FBI Director James Comey's statement on Hillary Clinton's private email server and text messages from a top agent critical of Trump are "deeply troubling." "There is extreme bias against this president with high-up members of the team there at the FBI who were investigating Hillary Clinton at the time," Gidley charged, as special counsel Robert Mueller pushes on with a probe of possible Trump campaign ties to Russia. Gidley says Trump maintains confidence in the FBI's rank-and-file. 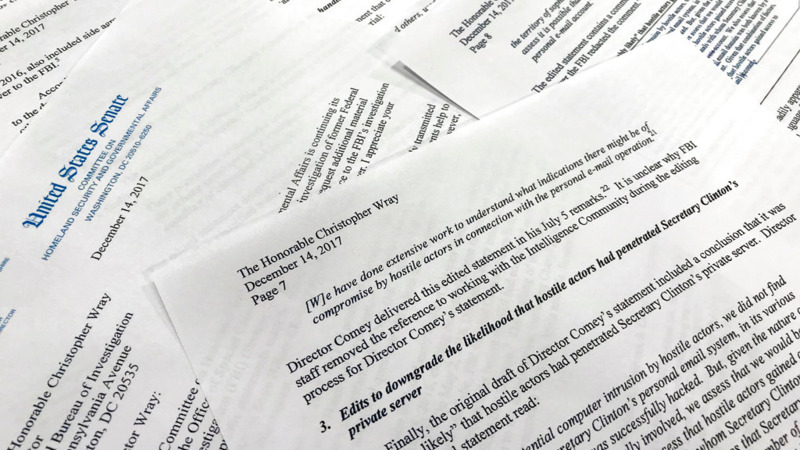 Edits to the Comey draft appeared to soften the gravity of the bureau's finding in its 2016 investigation of Hillary Clinton's use of a private email server while secretary of state. "It is very sad when you look at those documents, how they've done that is really, really disgraceful, and you have a lot of really angry people who are seeing it," Trump said of the document. Gidley said the disclosure of politically charged text messages sent by one of the agents on the Clinton case, Peter Strzok, were "eye-opening." 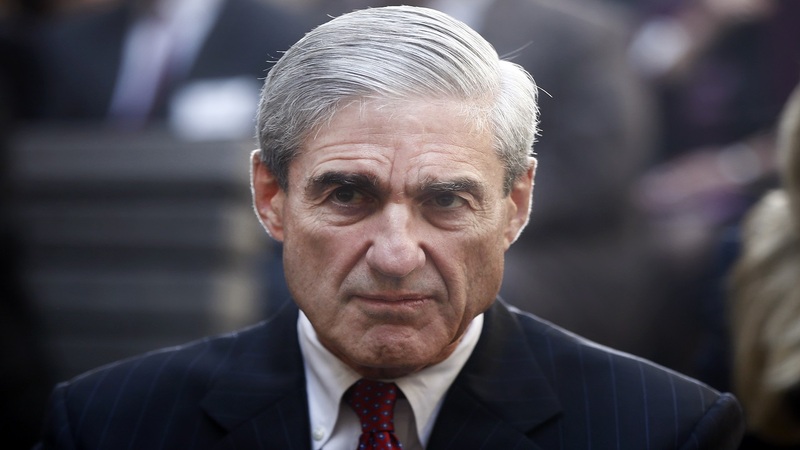 Strzok, who was in the room as Clinton was interviewed, was later assigned to special counsel Robert Mueller's team to investigate potential coordination between Russia and the Trump campaign. He was re-assigned after the messages were uncovered this summer. About 200 leaders in law enforcement from around the country attended the weeks-long FBI National Academy program aimed at raising law enforcement standards and cooperation. Coursework included intelligence theory, terrorism and terrorist mindsets, law, behavioral science, law enforcement communication, and forensic science.